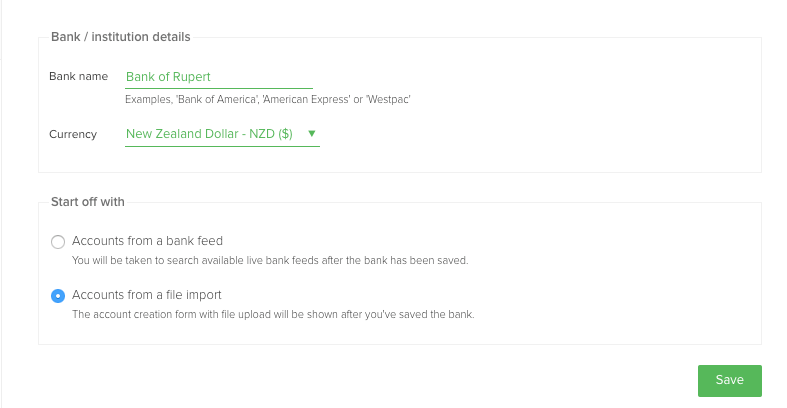 Your transactional accounts in PocketSmith can be connected to a bank feed, use bank files to import transactions, or not be attached to bank feeds or bank files. Learn about the different types of transactional accounts you can add to PocketSmith. Accounts are automatically created in PocketSmith when you import your transactions with a bank file. 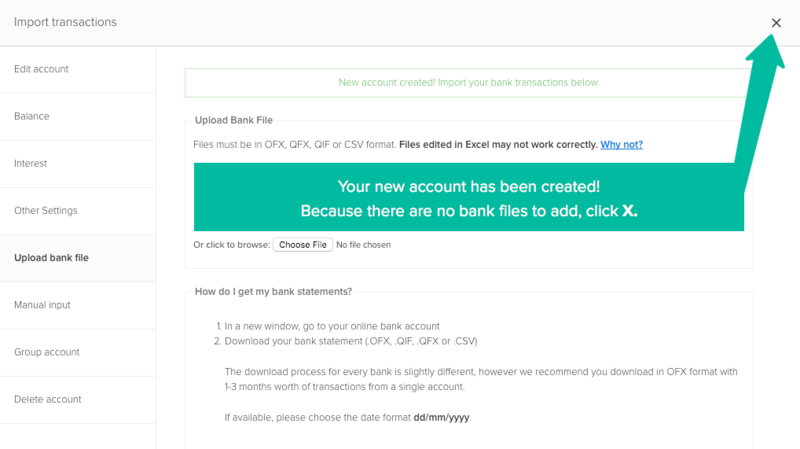 To learn more about setting up an account with a bank file, head over to our Bank Files topic. If you're moving to PocketSmith from another personal finance application you might have an exported file you wish to import to PocketSmith to add to one your existing accounts or to create a new account with. Have a look at Moving to PocketSmith to see if we have a custom import tool available to use. If your application isn't on the list fire us a message, with your help we can create one for you! Some users like to operate PocketSmith without importing any personal data from bank feeds and bank files and add their data manually. 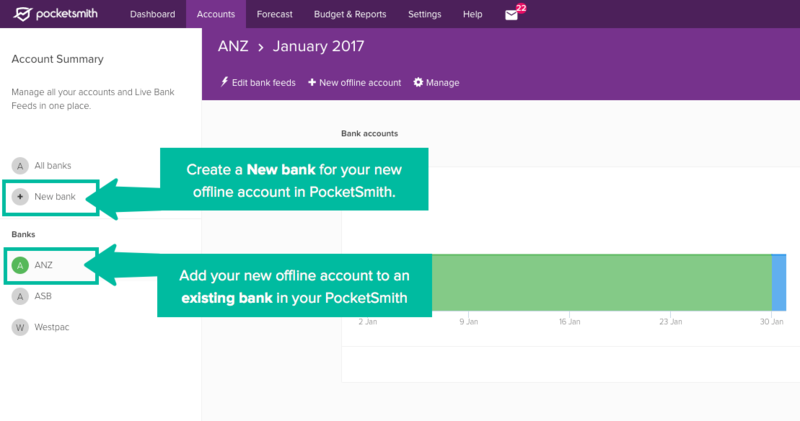 Or you may wish to add a cash account to your PocketSmith as an addition to other accounts created with bank feeds or bank files. All of your existing banks are displayed on the left side panel. You can choose to add your new offline account to an existing bank, or you can create a new bank. All of your accounts in PocketSmith must be attached to a bank. If you are creating an account that doesn't belong to an actual bank institution, you'll need to create a bank with a "fake" name or add it to a bank you already have set up. If you want to add your new account to an existing bank in your PocketSmith, select the bank from the left panel. Then click + New offline account in the toolbar and select From a file import. Skip 3b and Continue at step 4. The next form will ask for the name and balance for the account, along with the account type (bank, loan, credit card, mortgage etc). A add the details and click Save. Your account is now created! Because you won't be adding bank files, click the X on the top of the form. Your Account Summary page will reload and display your new offline account!